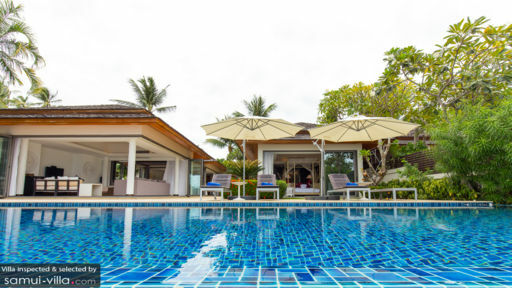 This is the third time that I have booked a villa for holiday and I can say my experience with Baan Ban Buri has set the standards. I have traveled with my family and our friends from HK. In total we were with six adults and three toddlers and one baby. The villa is in very good condition and the rooms are spacious. For us it was also very important that it was child friendly. We have a private pool which was big enough for all of us to relax. The pool was overlooking the sea and we had direct access to the beach. The beach was a bit dirty, but that has not spoiled our holiday. The service in the villa was excellent. The villa manager is very experienced and friendly. The in-house chef is superb. She cooks better Thai food than any Thai restaurant in Singapore. We were stuffing ourselves for lunch and dinner. I would highly recommend Ban Baan Buri. It's perfect for family with kids and even for group of friends without kids, it would be a good choice since the location is very central. 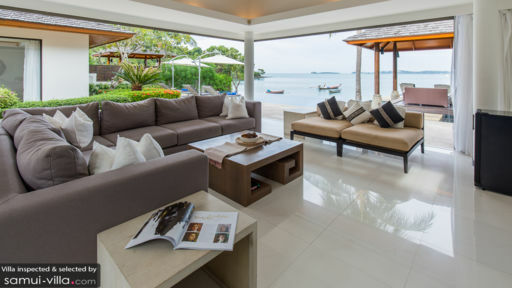 During a very dissapointing stay at another villa in Samui we went online and came upon the Dhevatara Residences. The Baan Ban Buri seemed nice and was available for the rest of our holiday so we booked the villa. The booking agent was very efficient and all details were quickly settled. Upon arrival we were greeted by the villa staff who were very nice and helpful. Our villa managar was Nat and she with the help of her team really made us feel at home from minute one. The rooms (pavillions) are spacious and nicely decorated. All the ameneties are up to par. The TV's in the rooms are only good for watching DVD's, there is no TV reception in the rooms. The large flat screen in the lounge does show large number of satellite channels, though. Lack of TV in the bedrooms did not bother us all that much since the view from the pool had us almost glued to the loungers from dawn 'till dusk. Salt water pool proved most refreshing. Our cook was very good and mastered local dishes with ease. Upon request he cooked European and other Asian dishes also, and after a couple of days we just let him decide the daily menu. We vere not dissapointed! Breakfast was very delicious with eggs cooked to order, pancakes, cerials etc. One highlight of the day was trying to guess what pillow decoration our maid left on our beds. She was a master of crafting the decorations from coconut leafs. Also feeding the fish in the pond was kids favourite task of the day. The beach is nice but a bit on the rocky side, there are better beaches in Samui. There are small fishing boats anchored near the beach. You can walk along the Bophut beach to other resorts, good restaurants and spas (or enjoy beach massage for 400 baht/hr). A kayak is provided for a little sight seeing. Dhevatara Recidences provide quiet and luxorious retreat for a reasonable price. We will return. This was one of our best vacations ever! We arrived at the Bophut Dhevatara Residence after reserving another villa. We were not happy with the other villa due to a problem I am sure was later taken care of. Shortly after speaking to the management company - Samui Villa and Homes - one of their managers came by and relocated us to the Ban Buri. We cannot say enough about this beautiful facility, excellent villa staff and above all - the surreal views from this beach front villa. With the huge pool sitting 20 meters from the ocean, we had countless hours watching the changing colors of the water and the sky and enjoying the salt-water pool and the sala. We were so happy to be away from the crowds at one of the busy beaches of Chaweng, this was a truly perfect holiday week!